Preheat oven to 350ºF. 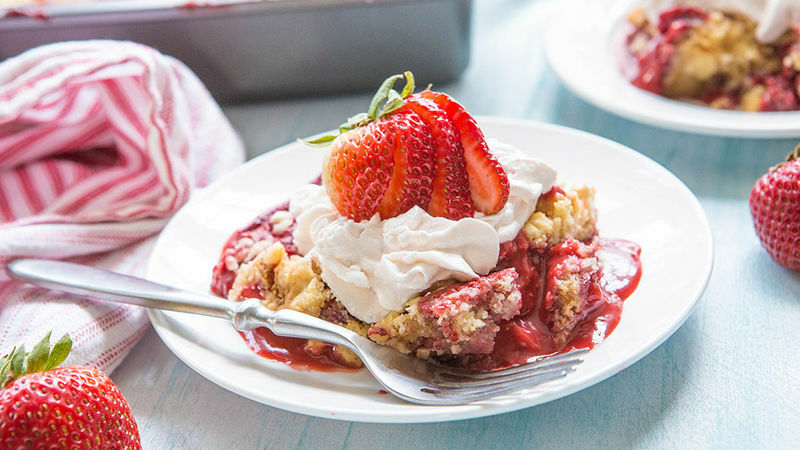 Place frozen strawberries in a 9x13-inch baking dish. Drizzle half of the butter over strawberries, then sprinkle cake mix on top. Drizzle with remaining butter. Bake for 50-60 minutes, or until the cake mix is golden on top and the strawberry mixture is bubbly. Cool before serving.